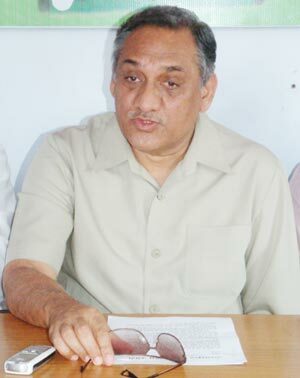 Congress leader Ghulam Nabi Azad has announced that party MP Vijay Bahuguna will be the new Chief Minister of Uttarakhand. Commenting on the announcement, Bahuguna said, “I will take all sections of the party along and there will be no breakup." Earlier, the party indicated that it has not closed any options and even an MP can be considered for the top job in the state. The indication comes a day after marathon meetings senior leaders Ghulam Nabi Azad and AICC General Secretary Chaudhary Birender Singh had with Union Minister Harish Rawat and MP Vijay Bahugana, both contenders for Chief Ministership in the hill state. The party had earlier signalled it would prefer an MLA for the post. Talking to reporters outside Parliament on Monday, Azad said the decision in this regard would be announced either Monday or Tuesday. Meanwhile, Union Minister Harish Rawat-- a front-runner for the CM post, said he was "hopeful that Uttarkahand can have a chief minister today itself". Asked if he would be disappointed if he does not become the Chief Minister, Rawat said, "I am a soldier... soldier should have the habit of smiling on all occasions."